I’ve been away. Not physically away, but so fully engaged in the fight against pit mining the Virginia City National Historic Landmark that I might as well have been in a different world. You’ll find a brief update below. 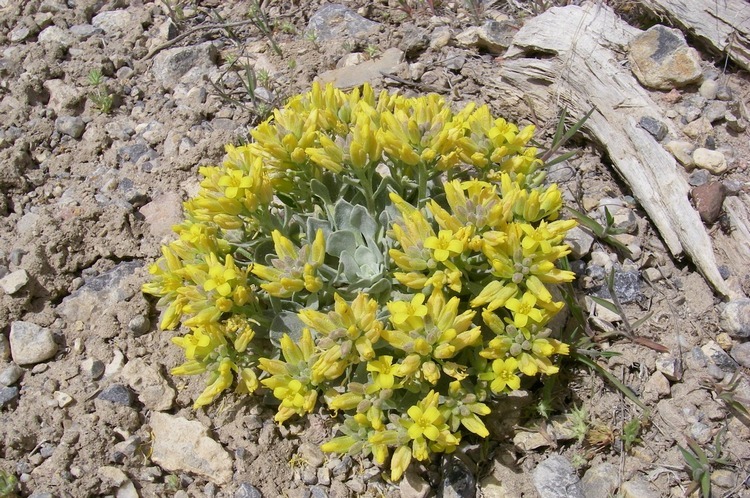 Robin and I had been feeling the simple yearning to see some sagebrush, and some sky, and some of the people we’re especially fond of, when we received two irresistable invitations that brought us back out on the road again. The crowd pressed close to hear the welcoming speeches. The first was an invitation to give a talk and a reading from the new book at Joe’s Tavern in Hawthorne as the second stop of my “Self Propelled Nevada Bookstorming Tour”. The tour began at the Tahoe House in Virginia City before an audience of about 40. It was also my experiment with innovation in the Author business: hold the readings/signings in saloons and kill two birds with one stone. 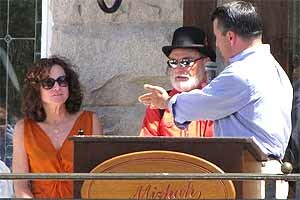 Then on to Tonopah for one of the best days of the year: August 27, 2011 and the Grand Re-Opening of the Mizpah Hotel. 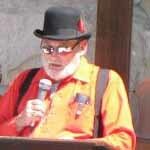 Tonopah’s own Sandy Harmon, who knows the Mizpah inside and out, served as Master of Ceremonies. system connecting the rooms (some with private baths), and a commanding presence at the center of this rich mining city. Having captured the county seat from failing Belmont, Tonopah was thriving with productive silver mines, banks, theaters, hotels, lighted streets, competing newspapers, a telephone exchange and the Big Casino, a dance-hall-and-brothel occupying a square city block. In early June he flew from Bern to Las Vegas, rented a car and started into the sagebrush, making a trial run of an itinerary he has prepared for a group of his colleagues who will make the trip with him next year. 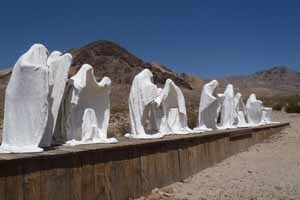 First stop: Rhyolite. It was absolutely unique for me, 1,800 miles from Las Vegas to Reno, and I had no problem although I had prepared myself to change tires, to fight desert lions or rattlesnakes, but all of them were nice to me when driving from Vegas to Rhyolite, Beatty, Tonopah, Belmont, Pioche, Baker, Great Basin National Park, Ely, Elko, Winnemucca, Unionville, Gerlach, Virginia City, Carson City, Lake Tahoe to Reno. The scale is different: entering a tiny place like Baker means getting back to civilization, the view of a tree or to meet a car becomes a unique event. By the end of a day of driving it is just great to meet people, like I did when arriving at the Belmont Inn and Bertie and Henry Berg and all characters of the neighborhood coming to the bar with food. When thinking back to Nevada I see patches of light blue clear skies, snow, mountains, sand and sagebrush — this is the main picture, followed by details such as “The Last Supper” sculpture at Goldwell Open Air Museum, my dinner at the Pioneer Garden B&B in Unionville with David Jones telling me he wished to go to Bern, to see the new Paul Klee Museum. How does he know about this new museum? It’s just down the road from me! 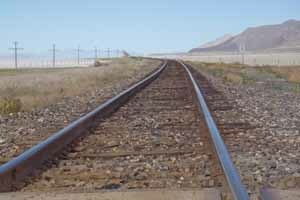 Tonopah peaked in the years leading up to World War I, and after that it was a long, slow downhill slide. The increasingly shabby Mizpah suffered through 50 years of hard times as the old city withered around it. It livened up briefly during World War II when the Air Base was busy training bomber crews, but this flicker of prosperity ended with the war. Governor Sandoval paid homage to Nancy Cline as a great benefactor of Tonopah and of the state. In 1950 new owners erected the now familiar lights on the roof. 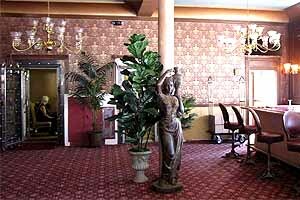 The lobby was remodeled to accommodate a small casino and cocktail bar, but the economic tide still ran the wrong way. By the late ’60s an inside room (in which the window opened onto a corridor, rather than to the outside) rented for $2.50. With a bare bulb dangling from a frayed cord, and a swaybacked metal bed hugging the wall for support, these rooms were popular with cowboys sleeping off a payday Saturday night. 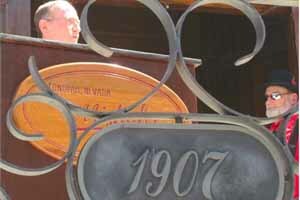 Master of Ceremonies Sandy Harmon listened as former Governor and US Senator Richard Bryan spoke. I stayed in one of those rooms in the late ’60s, when I was running and playing with the cowboys from Art Linkletter’s ranch down at Lida. 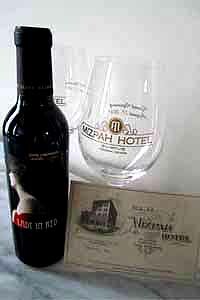 Staying at the Mizpah is like meeting Joe Conforte, if it happens you don’t forget it, so lots of people have fond Mizpah memories. The decor is elegant, understated and persuasive. One of them was a kid from Las Vegas who fell in love with the old place while traveling to a high school track meet. 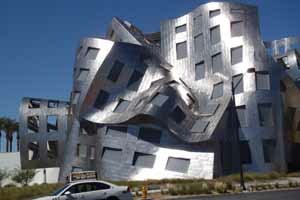 Nearly 40 years later, as the president of a multi-million dollar construction company and builder of the Union Plaza Hotel in downtown Las Vegas, he bought it. In 1979, after three years and $4 million, Frank Scott opened the old hotel as a glittering jewel box designed as a for high-rolling gamblers. 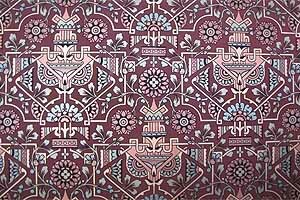 The wallpaper in the public rooms downstairs. Scott’s dream of his remote “ghost town hotel” was trampled under the feet of commercial travelers hurrying to sell goods and services to the mines and the military in Tonopah. The subsequent collapse of the boom left the Mizpah with new owners surviving on the highway trade, and a succession of owners has since stripped the old structure of its fixtures, furniture and finery. As far as I’m conccerned, this talk of ghosts and hauntings is a lot of har-de-har, but it prompted some good table talk over the sumptuous banquet dinner served to the guests in the Dempsey Room. At our table, the best story was Chris Chrystal’s. Ask her sometime about the poltergeist “attached” to a child, and water squirting out of thin air. Our eyes were as big as saucers. I notice that Guy Rocha, when he refuted the numerous fictions and exaggerations that have passed for history of the Mizpah, leaves the Lady in Red unmentioned. He does, however, cram a lot of other legends into the confining realm of fact. Dempsey wrote in his 1960 autobiography, “I never was a saloon bouncer in my life.” Legend says Howard Hughes married Jean Peters at the Mizpah, but Rocha insists on telling us that they were actually married at the L & L Motel down the street. What’s the matter with this man? An intimate corner in the Great Room. 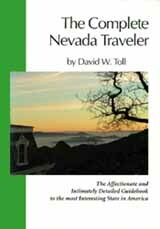 Lots of those factual errors are included in it, but here’s an article about Tonopah and the Mizpah that novelist Herb Gold wrote with enthusiasm and flair for the New York Times travel section in 1982. We even had a Lady in Red circulating through the crowd, wordlessly imploring each person whose eyes met hers, but at any attempt to speak to her she dissolved into a rosy vapor and was gone. From being the home of Tonopah’s most famous ghost, the hotel became a ghost itself, haunting Tonopah’s gaunt downtown. It had been padlocked and dark for ten years when Fred and Nancy Cline bought it. 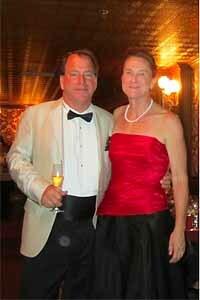 Fred and Nancy Cline are winemakers in the Carneros District of Sonoma County. Fred’s grandfather was named Jacuzzi, and Nancy’s grandmother had come west when her brother struck it rich in Goldfield. Harry Ramsey was heavily invested in the Goldfield mines, and sister Emma became Goldfield’s postmaster. The Clines have the personal resources and the personal resolve required to restore the Mizpah to health. It is grandeur, serene, rich, understated. An elegant leftover from the gilded age, more Ramses II than Louis XIV, slightly old-fashioned but surprisingly glamorous and graceful still — like a favorite aunt, perhaps. 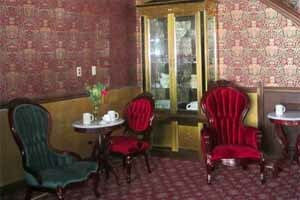 And like a favorite aunt, she’s got some nice surprises to share: the Key Pittman Room, adjacent to the Great Room, is the coffee shop, and the Jack Dempsey Room, down an incline into what is actually the building next door, is the gourmet dining room. 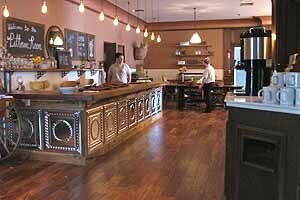 It’s presided over by a chef imported from Las Vegas and a wine list that’s imported from California. The rooms and suites on the four upper floors are tastefully appointed to the first decade of the 20th century, and served by one of the first electric passenger elevators in the state, the original safety brake still in place beneath its oak-interiored cabin. Every detail of the restoration has been meticulous. Governor Sandoval was present, and Richard Bryan, who served as Nevada Governor and as US Senator. They spoke glowingly of the Clines, the Mizpah and old Tonopah to the two hundred or so people gathered outside the hotel. 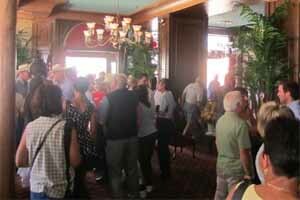 The Mizpah was a buzzing hive. Comstock Mining Inc. is still intent on surface mining within the Virginia City National Historic District. 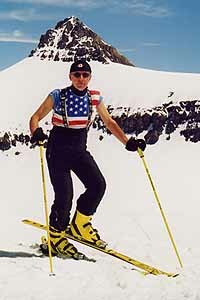 The Comstock Residents Association is a group of local citizens formed to prevent it. We are not anti-mining, but this isn’t the right place for pit mines. You can find out more at www.comstockresidents.organd on our Facebook page. Will you help? We’re especially fond of $5 donations because we figure they are gifts from people who have a hard time giving anything at all, and a fiver from them means more than just money. Let’s keep it that way. 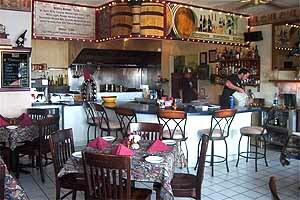 Next time you make that Reno – Las Vegas trip (in either direction) treat yourself to a stop in Tonopah. 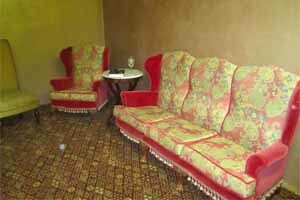 See the Mizpah for yourself and spend another hour or two exploring the old city’s other attractions. 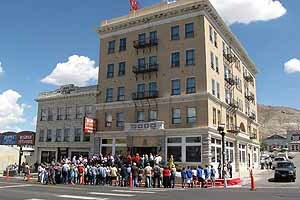 . . .Speaking of which, the Carson City Ghost Walk is such a popular success that they’re off to an early start this year. The video at left is the best alternative to being there, but it can’t convey the feel of crisp fresh air on your cheek, the sense of anticipation or the pleasure of personal participation . . . Spring Mountain Ranch State Park, 15 miles west of Las Vegas via Charleston Boulevard within the Red Rock National Conservation Area celebrates Pioneer Day from 10 until 4 on September 25th; you can enjoy live music, spinning and weaving demonstrations, gold panning, black powder rifle shooting and candle dipping, along with authentic Dutch-oven cooking. It’s free to the public, but park entrance fees apply ($7 for Nevada residents, $9 for non-residents) . 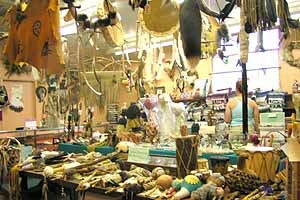 . . Here’s the State Parks calendar into 2012 . . .
An exceptional collection of Native American artifacts is for sale at Auntie Moe’s Trading Post at Indian Springs. Many fine weapons, bows and arrows, hand weapons, buffalo jaw, shields and more. “Oh, no; I’m much obliged; you couldn’t help me any,” was the answer. “You are very kind.” said the lady at last, “but I know you couldn’t help me, for he is hungry.” A light seemed to dawn on the politician’s mind, and he abruptly broke off the conversation. The 103-mile Extreme starts at Kershaw-Ryan State Park, goes through Caliente and Pioche, three other state parks, then back to Kershaw-Ryan. There’s also a 38-mile Double Helix, from Kershaw-Ryan to Cathedral Gorge State Park and back, and a Family Fun Ride on the pavement through Kershaw-Ryan State Park . . . By the way, each Raley’s and Food Source store in Nevada donate 5 cents to the Nevada State Parks system when shoppers use any reusable grocery bag at checkout . . .